The Instant Pot Max is 10-in-1 appliance that promises many new features haven’t seen before in any electric pressure cooker. Along with the Preset programs and easy-to-use touch screen control panel, noteworthy additions include a sous vide setting that allows the Max to double as a water bath with precisely controlled temperatures, a Preset mode just for canning foods at home, and a hands-free valve in its lid that automatically adjusts to your preferred method of steam release (a first for Instant Pot). Instant Pot Ultra – With 16 built-in programs and the new ultra program feature, you can now prepare dishes up to 70% faster. Along with the built-in program, the unit has an altitude adjustment function providing precise cooking time, central dial for program selection and adjustment. The new – ‘Steam Release Reset Button’ ensures the safer handling of the steam release after cooking is completed. The sterilize program aids in pasteurizing dairy products and sterilize baby bottles, jars and utensils. In addition, Instant Pot Ultra performs certain types of canning much more conveniently. 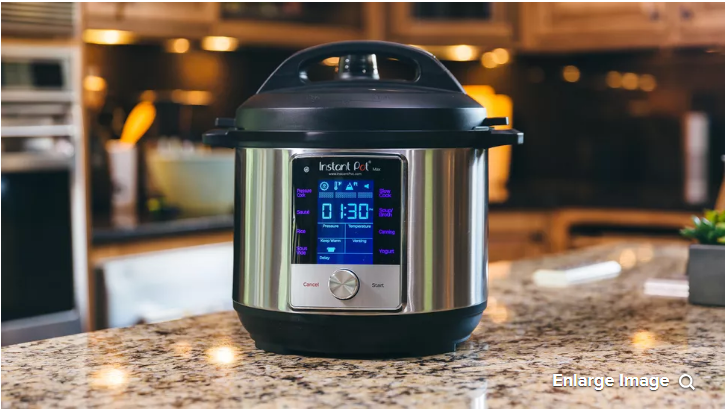 With Instant Pot Duo, cooking speed increases 2- 6 times using up to 70% less energy and, above all, produces nutritious healthy food in an easy way. It replaces 7 kitchen appliances and consists of 14 built-in smart programs. The unit consists of 24-hour timer, which makes it suitable in case of delayed cooking, and it maintains the temperature of the food due to automatic keep-warm feature. Instant Pot generates almost no noise and leaks no steam. It traps all the aromas in the food without heating up the kitchen. Instant Pot is carefully designed to eliminate many common errors that could cause harm or spoil food. Instant Pot Smart is the new, modern smart appliance that allows you to connect to your smart devices via Bluetooth and program and monitor the growth of the same. A free app not only provides recipes, it allows you to program cooking steps in recipe scripts on your devices to execute and share. Instant Pot LUX speeds up cooking by 2 to 6 times, making it extremely energy-efficient, while, preserving nutrients and preparing healthy, tasty dishes. It replaces 6 kitchen appliances, consists of 12 built-in program and built with the latest 3rd generation technology with an embedded microprocessor. During cooking, the microprocessor monitors pressure, temperature, keeps time, and adjusts heating intensity and duration. Even the volume of food is taken into consideration, improving cooking results and consistency of the dishes. 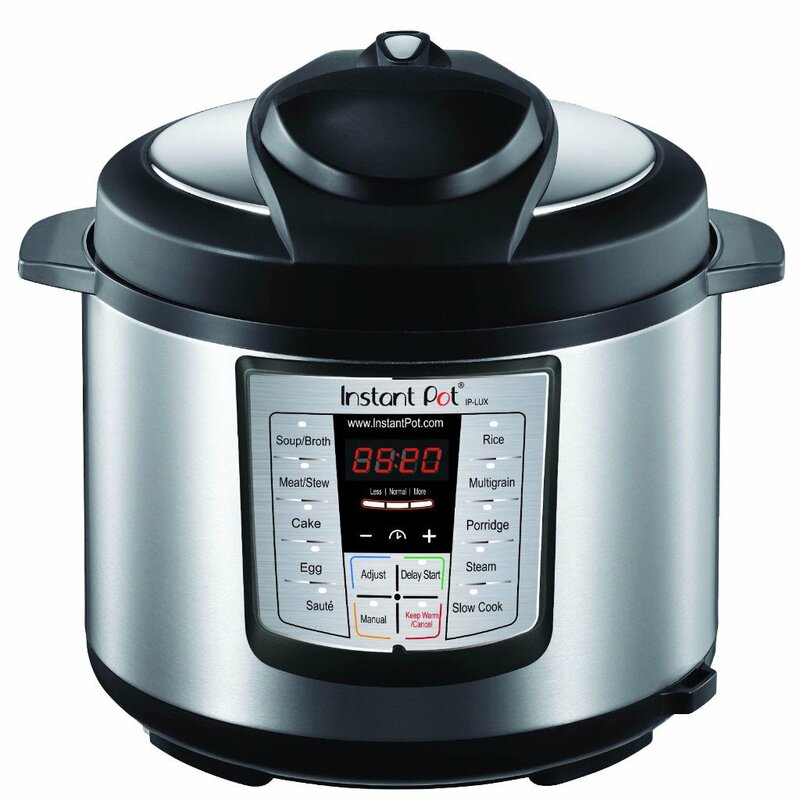 Instant Pot Max – Instant Pot Max have large LCD control screens, a metal control knob and glowing labels for the device’s cooking programs along the control screens’ left and right sides. The Max’s corresponding text labels for its eight cooking modes and its big display are touch-sensitive. And also consists of touch control venting, automatic pressure release valve. The new display gives a lot more relevant information to the cook — including internal temperature of the pot and a progress bar that runs across the top. Instant Pot Ultra – The control panel of Instant Pot Ultra consists of a large LCD display, a central dial for program selections and adjustments, a Cancel button and a Start button. In addition, it features cooking indicator, and a steam release reset button. The Ultra button provides custom programming. Instant Pot Duo – The control panel of Instant Pot Duo consists of an LED display, 2 pressure indicators, 3 mode indicators, 4 operation keys and 14 function keys. Each function key has a function indicator light. Operation keys do not have indicator lights. It also includes automatic keep-warm and 3 temperatures for sauté and slow cook. Instant Pot Smart – The control panel of Instant Pot Smart consists of an LCD display, 2 pressure indicators, 3 mode indicators, 4 operation keys and 14 function keys. Each function key has a function indicator light. Operation keys do not have indicator lights. Instant Pot LUX – The control panel of Instant Pot consists of a LED display, 3 mode indicators, 3 operation keys and 12 function keys. Each function key has a function indicator light. Operation keys do not have indicator lights. Instant Pot Max – Not Mentioned. UL certified with 11 safety features to provide peace of mind. New steam release reset button for safer handling. 1. Pressure Regulator ensures the working pressure below the safety limit. 2. Anti-Blockage Vent prevents food debris from blocking the vent. 3. Safety lid lock prevents accidental opening of the cooker while it is pressurized. 4. Designed with a sensor for lid position detection monitors whether the lid is in an unsafe position for pressure-cooking. 5. Automatic temperature control regulates temperature based on the type of program being selected. 6. Temperature monitoring avoids burning food. 7. Pressure controller keeps pressure always in the safe range. 8. Electrical current and temperature fuse cuts off power if the current or internal temperature exceeds safety limits. 9. Pressure protection releases excess pressure into internal chamber in a dangerous situation. 10. Smart detection of leaky lid (e.g. steam release is in the open position). 11. Quick Release Button automatically resets the Ultra to the Sealing position when you open or close the lid if the button is in the venting position. 1. Pressure Regulator ensures working pressure below the safety limit. 2. Anti-Blockage Vent prevents food debris from blocking the vent. 3. Safety lid lock prevents accidental opening of the cooker while it is pressurized. 4. Designed with a sensor for lid position detection, monitors whether the lid is in an unsafe position for pressure-cooking. 5. Automatic temperature control regulates temperature based on the type of program being selected. 6. Temperature monitoring avoids burning food. 7. Pressure controller keeps pressure always in the safe range. 8. Electrical current and temperature fuse cuts off power if the current or internal temperature exceeds safety limits. 9. Pressure protection releases excess pressure into internal chamber in a dangerous situation. 10. Smart detection of leaky lid (e.g. steam release is in the open position. Instant Pot Max – Many of the excessive cooking options from the Duo and even the Ultra display are gone — leaving the essential that are Pressure Cook, Sauté, Rice, Sous Vide, Slow Cook, Soup/Broth, Canning, and Yogurt options. In addition, it consists of touch control/programmable venting; it will automatically start the venting after the cook time is done. 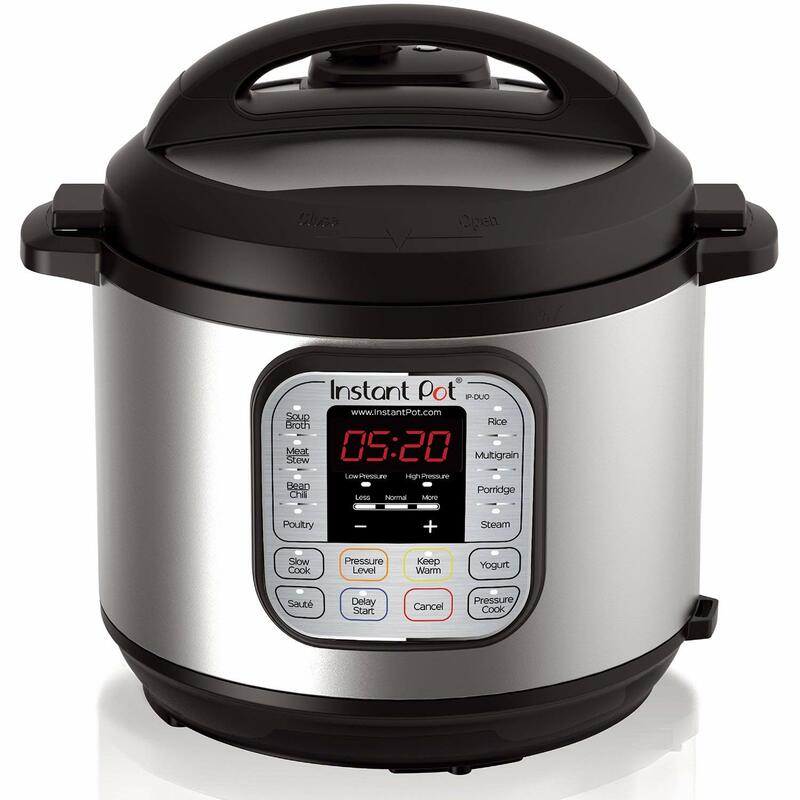 Instant Pot Ultra – Consists of 16 smart programs: Soup/Broth, Meat/Stew, Bean/Chili, Cake, Egg, Slow Cook, Sauté/Searing, Rice, Multigrain, Porridge, Steam, Sterilize, Yogurt, Warm, Pressure Cook, and Ultra. The ‘Ultra’ provides complete custom programming for pressure and non-pressure cooking. 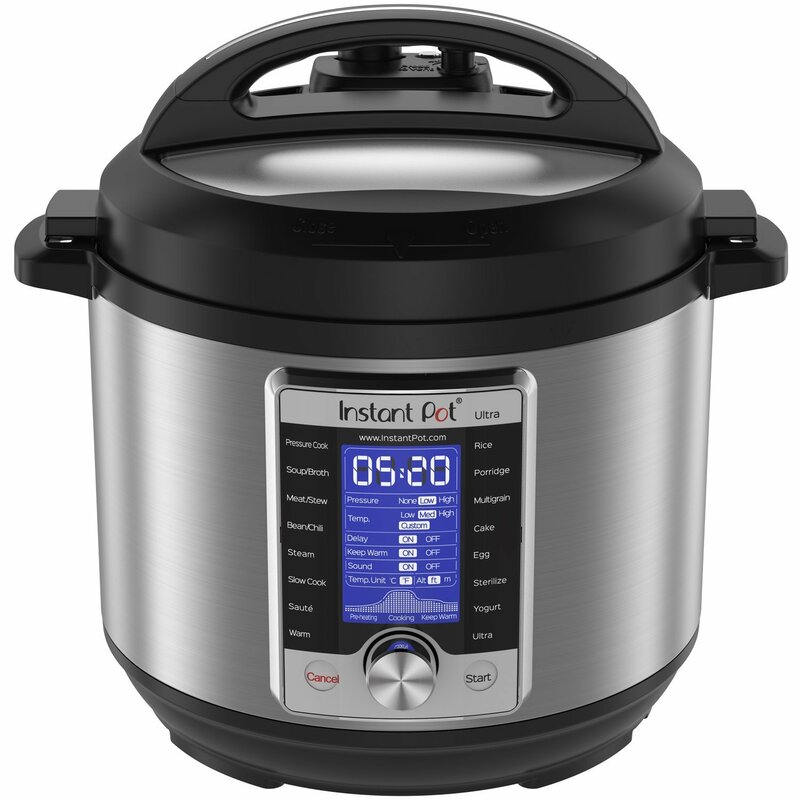 Instant Pot Duo – It includes 14 built-in smart programs: Soup, Meat/Stew, Bean/Chili, Poultry, Sauté, Steam, Rice, Porridge, Multigrain, Slow Cook, Keep-Warm, Yogurt, and Pasteurize. Now you can cook your favourite dishes with the press of a button. Instant Pot Smart – The 14 built-in Smart Programs includes – Soup, Meat/Stew, Bean/Chili, Poultry, Sauté, Steam, Rice, Porridge, Multigrain, Yogurt, Slow Cook, Keep Warm, and Pressure Cook. Instant Pot LUX – It features 12 smart built-in programs – Soup/Broth, Meat/Stew, Cake, Egg, Sauté, Rice, Multigrain, Steam, Porridge, Pressure Cook, Keep Warm and Slow Cook. Does it have Canning Option? Does it have Slow Cooking Option? Different sizes of the same model have different price. Below prices are for the 6 quart size unit. Max features LCD touch screen, which can be considered as a huge upgrade. Programmable pressure cooking and venting enables automatic release of pressure once cooking time is over. Pressure canning is another major feature in max. You can now turn off the digital sound alerts, if you want to cook quietly. The new steamer rack design does not hold the eggs as steadily and the canning jars do not sit super flat. One needs to be well versed with all the functions to be able to use it easily and quickly. Cooking progress display so you know how far along your meal is. Digital display screen, larger than previous models. Added safety feature of a push-button steam release. Your pressure cooker can now adjust to your altitude, a feature not found anywhere else. The new interface is much easier to use. It fails to reliably form a seal because the lid, pot and silicone-sealing ring are too loose, causing leaks, as a result, the pressure never builds up. This cooker is heavily priced which is a turn-off for many people on a tighter budget. Instant Pot Duo is versatile. It has the right size for 2. Stopped working only after few uses. Machine does not build pressure. The unit is bulky, takes up lot of place on the counter. There are many programming possibilities with the app. 10 built-in safety features of all Instant Pot pressure cookers. Bluetooth connectivity is not always reliable. Android app is low quality. Pot gets overheated and throws off cooking time. It is quiet while pressure-cooking. No hissing. It adjusts by itself. Food is cooked evenly and the flavour is maintained. No need to check the pot or stir. Easy and amazing time saver. Too bulky, heavy, difficult to use. It seems to work not so great as slow cooker. As a pressure cooker, it takes a while to reach the pressure to start cooking. “Instant” is misleading as the name of this pot. Be the first to comment on "Instant Pot Max vs Ultra vs Duo vs Smart vs LUX"